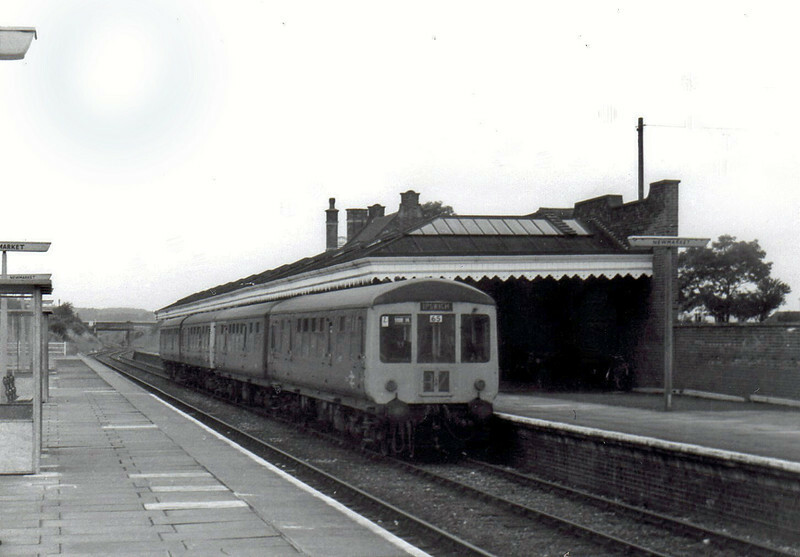 Newmarket on 21st August 1975 with the 0953 Cambridge to Ipswich arriving. The supurb canopy on the down platform has long gone. This part of the platform is now disused.